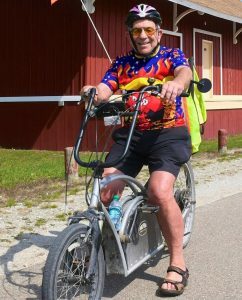 The 28th Annual Michigander will take place July 13-18 on the Sunrise Side with a bicycle tour that showcases Lake Huron, the Iron Belle Trail and the 100th Anniversary of the Michigan State Parks as it travels through the towns of Tawas City, Oscoda, Lupton, Rose City, Higgins Lake, Cadillac, Tustin, Leroy, Reed City and Evart. Michigan Trails applauds the efforts of the Legislature to secure a $3 million appropriation to help pave and enhance the Fred Meijer White Pine Trail State Park in the budget supplemental that passed early this morning. Michigan Trails joined the Michigan Department of Natural Resources in announcing today the state’s first round of Michigan water trails that includes the Central River Raisin Water Trail, the Chain of Lakes Water Trail, the Huron River Water Trail, Flint River Trail, Middle Grand River Water Trail, Shiawasee River Trail, Upper Grand River Water Trail, and Island Loop Route. 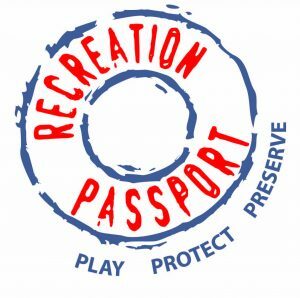 SB 1258 and 1259 will amend the current Recreation Passport program to provide significantly more funding for state and local parks and trails by allowing for residents to simply fill out their annual motor vehicle registration forms with the $11 Recreation fee automatically assessed at the time of registration. Residents can still elect to not accept the added fee. Michigan Trails and Greenways Alliance is Participating In #GivingTuesday! On November 27, Michigan Trails and Greenways Alliance celebrates #GivingTuesday with renewing its commitment to helping build, connect and promote trails for all Michigan citizens. Click below to find out more on how you can help! It’s that time of the political season when we are faced with countless campaign pleas for support of candidates who promote road funding, health care, education reform, and crime control. Let the candidates know how important trails and parks are to you and all Michigan’s citizens! 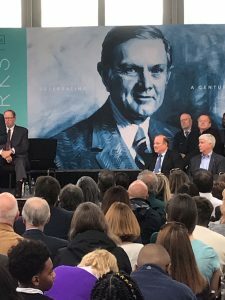 The Michigan Trails and Greenways Alliance is pleased to be a part of the Ralph C. Wilson, Jr. Foundation’s announcement to award Southeast Michigan $100 million for park and trail development, providing another significant financial incentive for communities to build trails. 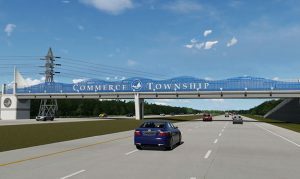 The Michigan Department of Transportation (MDOT) and Commerce Township invite bicycle and pedestrian traffic to enjoy the new M-5 Pedestrian Bridge. We couldn’t celebrate Trails Week without celebrating our trail volunteers! We invite you to discover their inspirational stories. 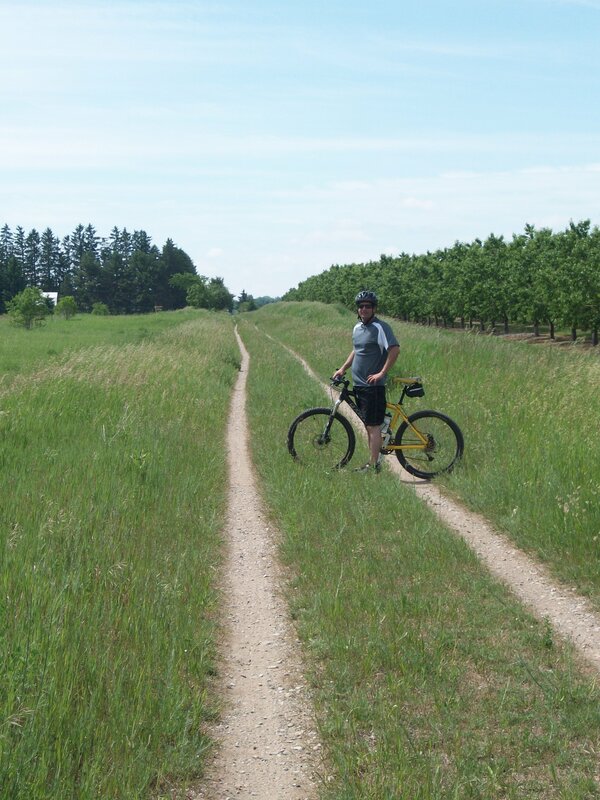 This week in Michigan we celebrate all of Michigan trails whether they are motorized, non-motorized, land or water trails and many will choose to concentrate on our status as the number one trails state. Yet Michigan’s trails should also be celebrated because of the thousands of volunteers across the state who contribute their time and talents to making a system of trails more than simply pathways for recreation and conservation. Michigan Trails and Greenways Alliance and mParks surveyed Michigan’s 2018 Gubernatorial Candidates to complete this questionnaire compiled from input by our statewide memberships. Click here to view the candidates’ complete responses. 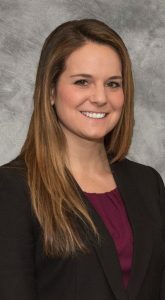 Lansing, MI–The Michigan Trails and Greenways Alliance is pleased to welcome former State Representative and current Oakland County Parks Commissioner and Michigan Department of Natural Resources Trail Specialist, Andrea LaFontaine to their trails team as their new Great Lake-to-Lake Trails Ambassador. The Trail Ambassador is a position created out of a partnership between Michigan Trails and Greenways Alliance and the Ralph C. Wilson, Jr. Foundation to help develop and grow the state’s first destination trail, the Great Lake-to-Lake Trails Route #1. The DNR and Travel Michigan today announced the official launch of the Pure Michigan Trail and Trail Town designation program. 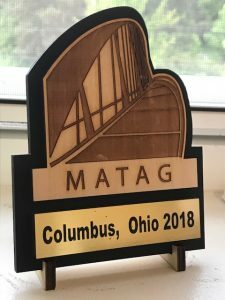 It’s an effort aimed at acknowledging Michigan’s position as the Trails State, showcasing an array of quality trails (including water trails) and trail-centered communities, and recognizing extensive collaboration of state and local governments, nonprofits, foundations and volunteers that develop and maintain the trails. 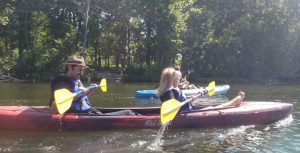 Ann Arbor, MI — The Michigan Trails and Greenways Alliance hosted a kayak outing in the Trail Town of Ann Arbor yesterday from the Argo Cascades to Gallup Park to highlight the importance of water trails to our cities and people. 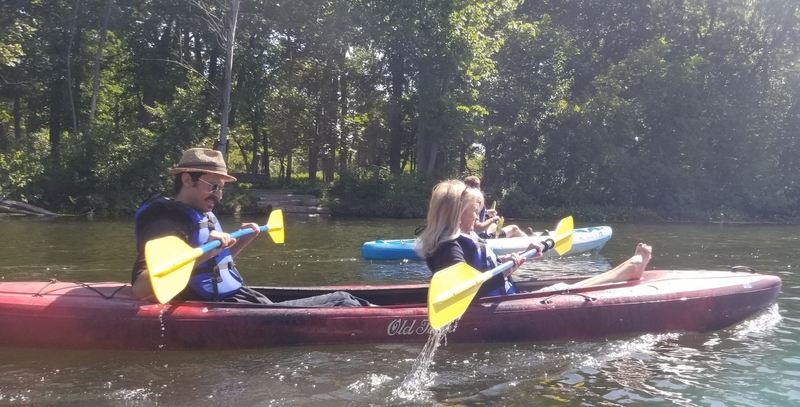 The event was presented in conjunction with the Huron River Watershed Council and made possible through the generous sponsorship of water trail supporters like the Michigan Restaurant Association, the Land and Information Access Association and the National Federation of Independent Businesses. Lansing, MI — The Michigan Trails and Greenways Alliance recently received a $255,000 grant from the Ralph C. Wilson, Jr. Foundation to help turn the vision of a 315-mile long destination trail into reality. Michigan Trails will use the funds to continue working with the managers of 28 trails along the South Haven to Port Huron route to provide a unique recreational experience that increases fitness opportunities for our citizens while driving tourism to the region and state. Jackson, MI — Trail managers and advocates from 8 counties and numerous communities along the proposed Great Lake-to-Lake Trails Route #1 stretching from South Haven to Port Huron gathered in Jackson yesterday to discuss a plan to jointly manage what will be the state’s first destination trail. 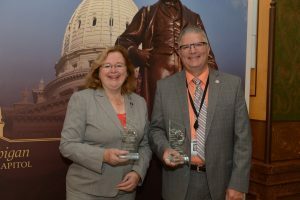 Old Town, Lansing, MI — Michigan Trails and Greenways Alliance applauds the recent work of the Michigan Legislature in adding over $4 million in funding from state grants for important trail development projects in Oceana and Tuscola counties and the Traverse Area Recreation Trail system. 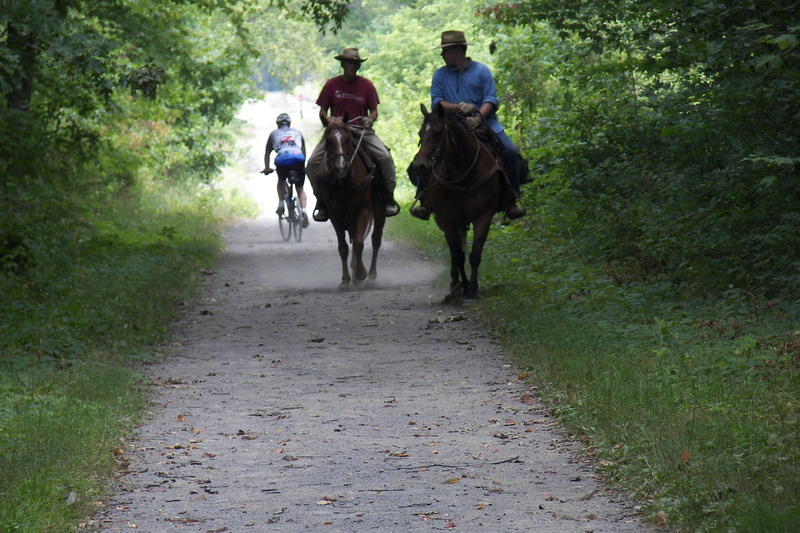 In recognition of Michigan as the number one trails state in the country, the Legislature appropriated funds from Michigan Enhancement Grants and other community investment programs to help support our state trail system. 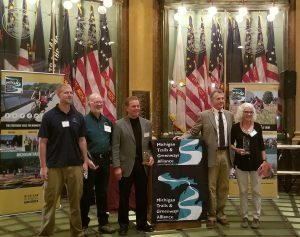 Michigan Trails commends Senators Mike Green, Goeff Hansen and Wayne Schmidt for their support of previous legislative trails initiatives and their leadership in securing these vital funds. 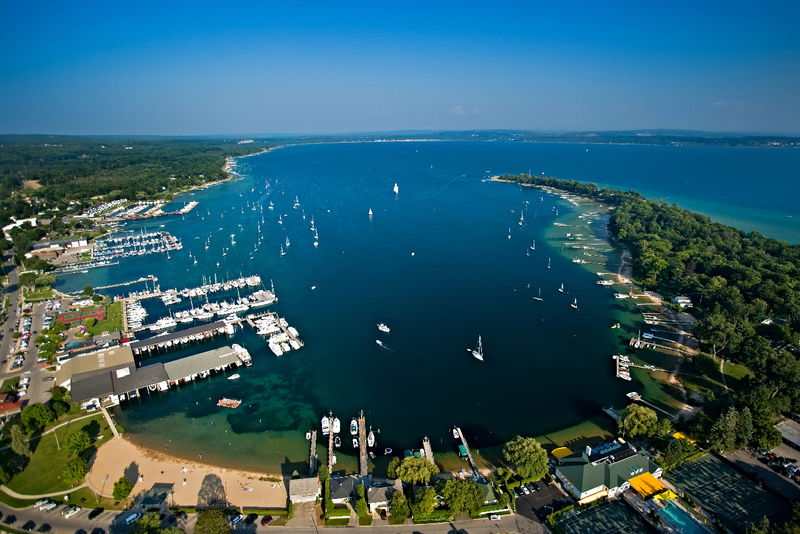 Old Town, Lansing, MI — The 27th Annual Michigander Bicycle Tour hits the Top of Michigan Trails from July 14-21, travelling through the towns of Cheboygan, Mackinaw City, Mackinac Island, Onaway, Petoskey, Harbor Springs, Cross Village and Charlevoix; providing an active vacation that showcases Michigan’s natural wonders. 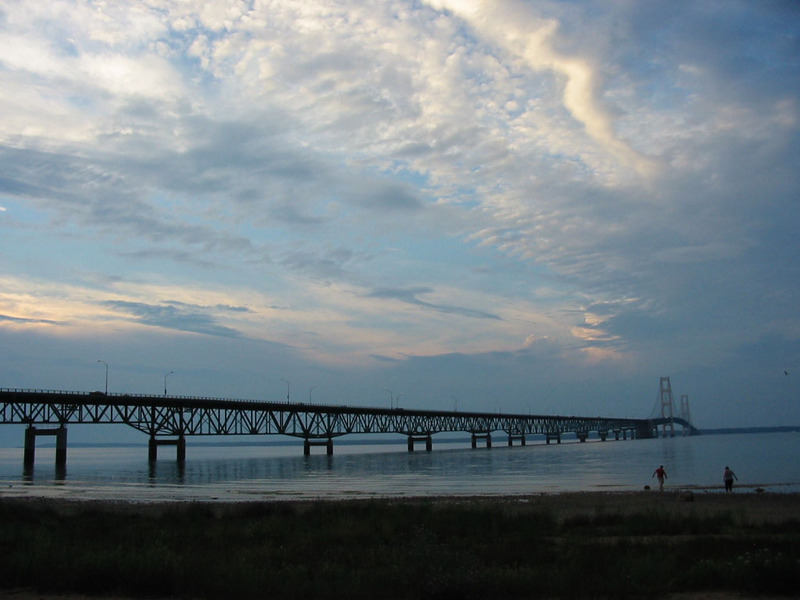 The Michigander is presented by the Michigan Trails and Greenways Alliance and Michigan Fitness Foundation and is dubbed as “One of the top ten multi-day rides in America” by Bicycling Magazine. Michigan’s classic cycling vacation offers three options: a 2-day tour; a 6-day tour; and an 8-day tour which combines both the 2-day and 6-day tours. The region along the tour is known for its scenery; sandy beaches, clear lakes, winding rivers and expansive shorelines dotted with shipwrecks and lighthouses. Riders will also enjoy sampling Michigan’s wines and craft beers from the many wineries and breweries along the tour such as the Mackinaw Trail Winery and Cheboygan Brewing Company. State Park. Key state and local officials will gather at the Pinckney Depot to celebrate Mike and his passion for trail building at a ceremony this morning. 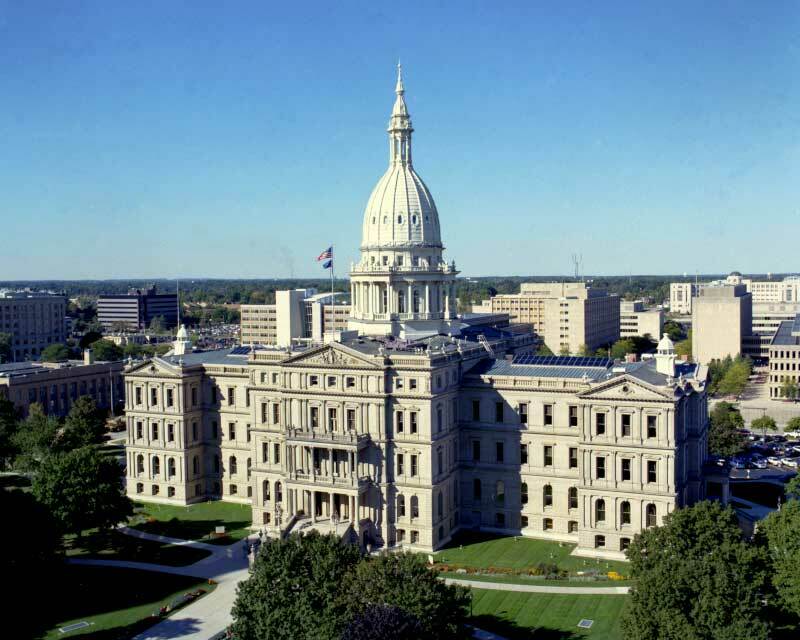 Old Town, Lansing, MI — The Michigan Trails and Greenways Alliance would like to thank all members of the Michigan Senate who voted and passed Senate Joint Resolution O today. The resolution helps ensure the Michigan Natural Resources Trust Fund and Michigan State Parks Endowment Fund will be used for the preservation of our state’s natural resources and the citizen’s right to access those resources in a sustainable fashion. Michigan Trails looks forward to working with all the members of the House of Representatives who support our state park system and local parks and trails to pass this vital legislation. 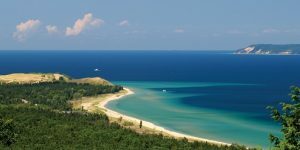 Passage of the legislation would put a question on the August ballot that would allow voters to approve more revenue from the Michigan State Park Endowment Fund to be directed toward building local parks and trails across Michigan. The proposal protects our state parks. LANSING, Mich. – Gov. Rick Snyder today announced the appointments of Steven Davis of Marquette and Bob Wilson of Lansing to the Michigan Trails Advisory Council. The 11-member board advises the Michigan Department of Natural Resources on the creation, development, operation and maintenance of motorized and non-motorized trails in the state, including, but not limited to, snowmobile, biking, equestrian, hiking, off-road vehicle, and skiing trails. All of us in the conservation world lost a good friend this past week in the passing of Patty Birkholz. 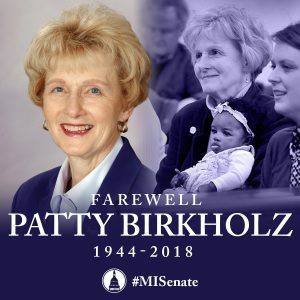 Patty was a public servant at numerous levels, a caring and passionate conservationist, but above all a decent and civil human being who respected and honored the process of lawmaking with her relationships of trust and friendship. I had the privilege of working with Patty as counsel to the Senate Natural Resources and Environmental Affairs Committee during her two terms in the Senate. Patty set an aggressive agenda working with both Republicans and Democrats to write landmark legislation that will bear her legacy well beyond anything we do to memorialize her. Advocacy Day is a unique opportunity for road cyclists and trail users of all abilities – casual riders and die-hards alike – to speak with one voice to help make Michigan bicycling better. Hosted by the League of Michigan Bicyclists (LMB) in partnership with the Michigan Trails and Greenways Alliance, Michigan Mountain Biking Association and PEAC this collaborative effort brings supporters of all four organizations together to educate legislators on key policy issues that facilitate a more bicycle-friendly Michigan. 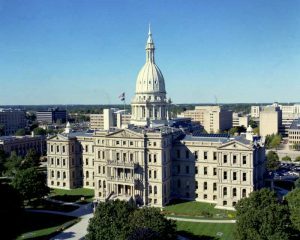 This year, Advocacy Day will take place on Wednesday, May 23rd, at the State Capitol in Lansing. North Central Michigan is home to excellent trails and towns to be explored on the 27th Annual Michigander Bicycle Tour from July 14-21. Featured towns include Charlevoix, Cheboygan, Harbor Springs, Mackinac Island, Mackinaw City, Petoskey, and all points in between stretching from Lake Huron to Lake Michigan. This region is known for its scenery; sandy beaches, clear lakes, winding rivers and the expansive shorelines dotted with shipwrecks and lighthouses. 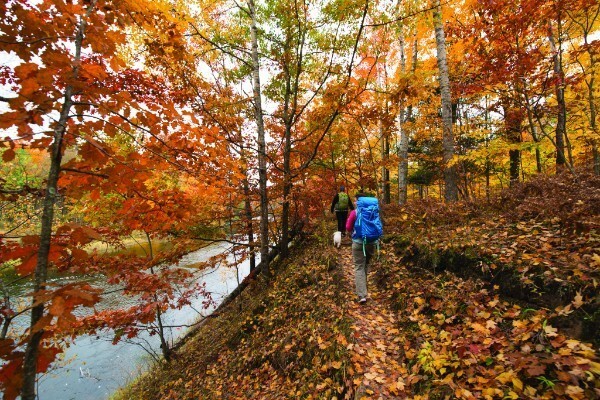 The Top of Michigan Trails manages a fantastic network of trails that cover 300 miles of Northern Michigan. 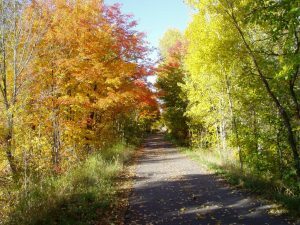 Cyclists will experience the following trails: North Central State Trail, North Eastern State Trail, North Western State Trail, Little Traverse Wheelway, Burt Lake Trail, Charlevoix Township Bike Path, and Petoskey City Trails, which combined make up a part of the Great Lake to Lake Trail Route #3 and the Iron Belle Trail. 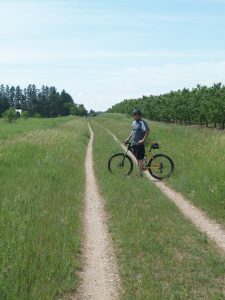 Because of the expanse of this trail network, there are also opportunities for cyclists who like a longer ride to easily take on more miles than the planned routes each day. Cyclists have the option to tour car-free Mackinac Island, which will give Michigander riders the ability to explore up to 70 miles of trails, on the quaint Island that is a National Historic Landmark and considered “One of the Top Ten Islands in the World” by Conde Nast Traveler and National Geographic. 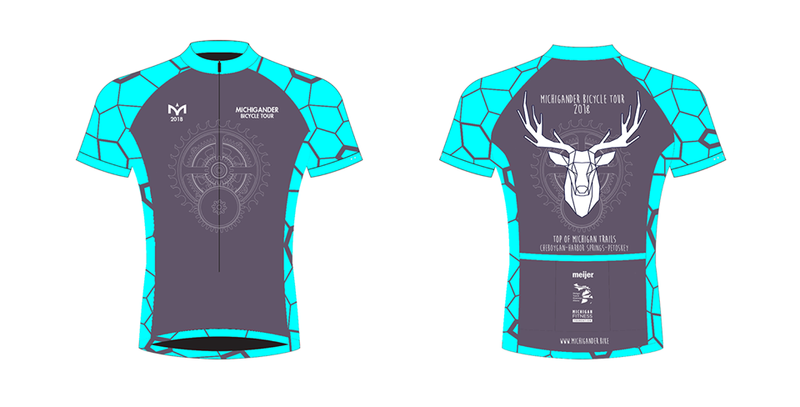 The official Michigander Bicycle Tour ride jersey design is a collaboration between ride director Mary McGuire Slevin and Michigan Fitness Foundation graphic designer Charli Holloway. Celebrating nature in North Central Michigan, the art elements give a nod to the rays of the rising sun with Michigan’s State Stone, the Petoskey Stone interpreted in a graphic on the sleeves and sides of the jersey. 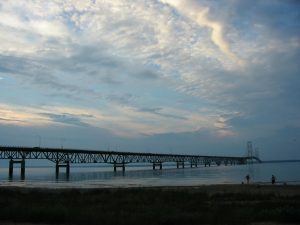 Then the deep blue grey color of the body of the jersey that depicts to color of night sky, long after the sun is set in the Straits of Mackinac. The deer is perfectly fitting as they are abundant in the Upper Midwest and a welcome sight in the forests of Northern Michigan. 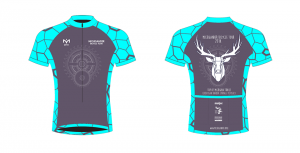 The bicycle gears on the front of the jersey and behind the deer celebrate the bicycle. And this classic cycling vacation is all about celebrating summer by leaving the world behind through an active vacation on two wheels. Charli Holloway is a young, motivated graphic designer who thrives on helping others create a better business for themselves through beautiful, effective designs. Her work ranges from logo design and branding, to layout design and advertising in both print and digital medias. She strives to create simple, yet strong elements that are tailored to brand needs. Charli is continuing to delve deeper into the wonderful world of design to learn new techniques and be an inspiration to others. Mary McGuire Slevin is also a graphic designer in addition to her work as ride director for the Michigander. Telling a story through art is something she loves to do, and after summering in this region as a child to moving and living on Mackinac Island for over a decade, she has a unique perspective to the colors and landscape of the Straits of Mackinac region. Together, Charli and Mary had fun creating this design by researching colors and themes that would stand out in the forested trails. Working with the input of the Michigander Committee helped ensure it was fun and representative of this very special region. For the riders, this is more than something to wear, it is a remembrance of their incredible athletic accomplishment by completing the 2-Day, 6-Day or 8-Day Michigander Bicycle Tour on their summer vacation in Northern Michigan. A 26-mile recreational path in Detroit received a boost Thursday with a $2 million grant from the Ralph C. Wilson Jr. Foundation. The money will be used to fund the design and preconstruction of the unfinished portions of the loop, according to a news release from the city. Called the Inner Circle Greenway, the nonmotorized path connects the city’s neighborhoods, parks, commercial corridors, the riverfront and downtown. 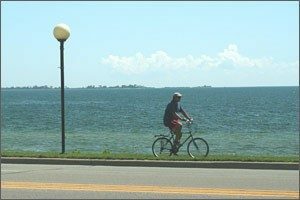 Michigan Trails and Greenways Alliance and Michigan Fitness Foundation, the 26th Annual Michigander Bicycle Tour will take place in Traverse City, Leland and Frankfort on the shores of Lake Michigan in Michigan’s Northwest coast from July 15-22, 2017. 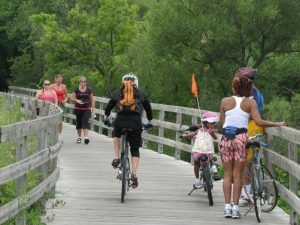 T=this classic cycling vacation combines beautiful trails, Great Lakes beaches, lighthouses, rivers, virgin white pines, vineyards and more in this vibrant region of the Upper Midwest. Home to Sleeping Bear Dunes National Lakeshore, dubbed the “Most Beautiful Place in America” by tens of thousands of viewers from ABC’s Good Morning America, cyclists will surely be amazed at the inspiring vistas and challenging terrain in what is known as one of the nation’s best kept secrets. 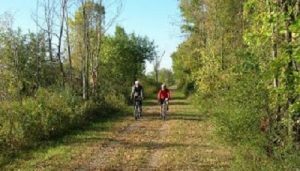 The Michigan Department of Natural Resources announced a third round of grant funding is available for communities and organizations working on sections of trail that will be part of Michigan’s two Iron Belle Trail routes. Proposals are due Jan. 9, 2017. LANSING – Approximately 80 bicyclists rode to the Capitol this morning as part of the annual Lucinda Means Bicycle Advocacy Day. 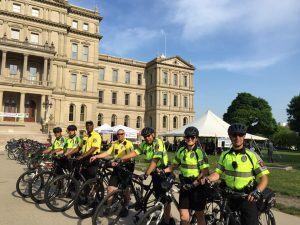 Representatives from the League of Michigan Bicyclists and the Michigan Trails and Greenways Alliance gathered on the Capitol lawn to discuss proposed legislation to make roadways safer for pedestrians and bicyclists. GRAND RAPIDS – Michigan is no stranger to cycling, and once a year dedicated cyclists focus their attention on one long distance event that defines the state. 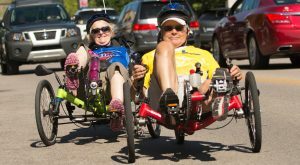 The Michigander Bicycle Tour, hosted by the Michigan Trails & Greenways Alliance (MTGA), will this year celebrate its 25th anniversary. 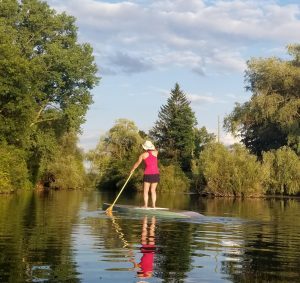 A multi-day tour that ranks among the top 10 in the nation, according to Bicycling Magazine, the Michigander celebrates Michigan’s varied landscape and the dedicated and fun-loving cyclists that give the sport a home on the state’s trails. Taking place along West Michigan’s Gold Coast, the region is excited to showcase this year’s theme of “bikes, brews and beaches” from July 16-23. “It’s just a very fun ride,” says Roger Tuuk, West Michigan Trails and Greenways Coalition (WMTGC) board member and seven-time Michigander cyclist. With three options—a two-day, six-day and eight-day tour (a combination of the two- and six-day tours)—the multi-day tours provides an option for most skill levels. “Anybody can do it,” says Tuuk, adding that some parents even hitch up bicycle trailers and take their children along for the ride. The south view of the new extension of the popular Dequindre Cut greenway from Gratiot to Mack. 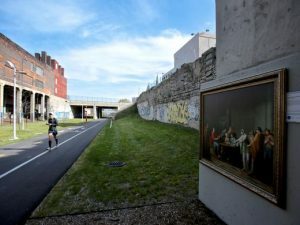 DETROIT – The formal opening Friday of the Dequindre Cut extension does more than add a half-mile addition to the popular strolling and bicycle path. It also marks the latest in Detroit’s growing network of greenways and bike lanes that is making non-motorized transportation a reality in the Motor City. 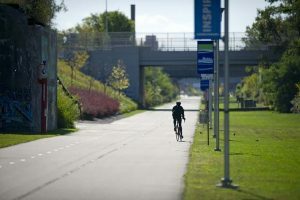 The expanded Dequindre Cut links into the Midtown Loop of bike lanes and wider sidewalks and one day will connect to the planned Inner Circle Greenway, about 20 miles of non-motorized paths circling greater downtown along mostly unused railroad right-of-way lines. The city also is expanding its pilot program of protected bicycle lanes along East Jefferson and Livernois, separating bikers from motor vehicle traffic. The DetroitRiverfront Conservancy also is working on its next link to expand the city’s award-winning RiverWalk.